Home to the Space Center Houston, Houston Zoo, and the Houston Museum of Natural Science, Houston, Texas is filled with historical landmarks and entertaining family venues. Beekeeping has also been a steady business in the State of Texas since the 1900s and we proudly support the industry by supplying Houston clients with package bees for sale, along with any necessary beekeeping supplies for a hive. Whether you’re just starting out as a hobby or you have an established bee colony for business purposes, we can help. Mountain Sweet Honey Company is committed to offering our Houston clients the best bees, beekeeping supplies and customer service possible. Our apiaries are housed in the beautiful northeast Georgia mountains, and we routinely ship package bees on a weekly schedule from March to May. Our customer service professionals are experts on bees and ready to help you, no matter your experience level. Mountain Sweet Honey Company is the #1 shipper of honey bees and Italian package bees in the Midwest and on the east coast. If you’re new to beekeeping (or not), our experienced customer service reps can walk you through the process of determining exactly what you need and what the best date is to ship your bees. They can also help you figure out the best way to invest in your hives to maintain them and help them thrive. If you’re a beginner and need instructions on planning and designing your hive, we can help. We offer beehive plans and designs. We also offer top bar beehives, which is one of the most common hive styles in the world. We value the use of natural and organic products and a top bar beehive allows beekeepers to manage their colony without the use of harsh chemicals, which can agitate the bees. We also have 3lb package bees, live honey bees, and commercial bee hives for sale. 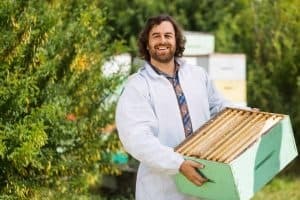 All our package bees are grown in Georgia with an organic approach. We have package bees for sale in 2019 with multiple selections such as Italian bee nucs and first-year hive kits for beginners. We understand the logistics of package bees and safely shipping bees. We insure our package bees are shipped promptly, properly, and with great care. If you choose to order from Mountain Sweet Honey Company, you can rest assured your bees will arrive to your destination alive and healthy. From expert beekeeper to beginner, we offer everything a beekeeper may need for their day-to-day operations. Starter tools, specialized equipment, and protective clothing are essential elements for beekeeping, whether for a hobby or a successful business. Our beekeeping supplies for sale includes various hive frame bodies and covers, screened or solid bottom boards, telescopic covers, and deep grooved frames. We have all the beekeeping supplies for beekeeping. 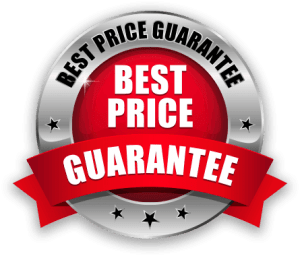 We also offer honey extractors, frame scrapers, nuc boxes, feeders, beehive smokers, strainers, grippers, a selection of helmets, spacers, wax tube fasteners, a selection of gloves, jackets, overall suits, and a wide range of premium hive tools. You can also find bee health items in our shop including essential oils and pollen. Mountain Sweet Honey Company is a family-owned and run business and we treat our customers like family. Beekeeping is a lifestyle and we turned our love of a beekeeping hobby into a full-time business when we recognized a need we could fulfill. We stay true to our purpose, which is to offer organic, high-quality bees and beekeeping supplies and knowledgeable advice to Houston beekeepers. We always execute our orders with outstanding customer service. In 2017 Mountain Sweet Honey Company was deemed the No. 1 shipper of honey bees in the Midwest and the East Coast. It’s our loyal repeat customers and experienced and dedicated employees who helped make this happen. If you’re an experienced beekeeper, a beginner, or just interested in learning more about beekeeping, contact us today at (706) 886-1322. We are located at 758 Hwy 184 North Toccoa, GA 30577.